Are Rosselló and Cuomo correct in saying that the Trump administration treated Puerto Rico differently than Florida or Texas? Given that Trump mentioned the “[b]illions of Dollars” he has raised to help rebuild the islands, have the states affected by Hurricanes Harvey or Irma received more money than Puerto Rico? 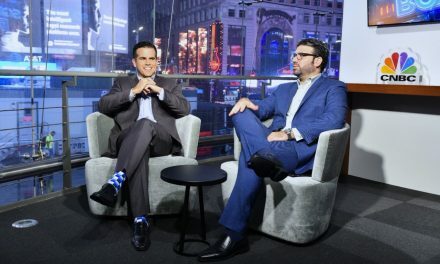 Has Puerto Rico’s territorial status prevented Rosselló’s administration from securing funds for the islands in Congress, as many pro-statehood leaders have said? These are difficult and controversial questions. But answers to them can help us think about the state of US-Puerto Rico relations in the aftermath of Hurricane María. In this short analysis, I want to compare FEMA’s response to Texas, Florida, and Puerto Rico. I will only focus on two variables. First, I will examine FEMA’s cost-sharing formula for these jurisdictions. Second, I investigate the total amount of disaster relief funds FEMA has already obligated and expended in the states or territories affected by Hurricanes Harvey, Irma and María. In a future analysis, I will look more closely at other sources of federal spending, as most of the funding available to states and territories in the aftermath of natural disasters and other emergencies does not come from FEMA’s Disaster Relief Fund. I will also explore whether these federal contracts are benefiting local contractors or ones out-of-state. Before we look at these numbers, it is important to keep in mind three observations. 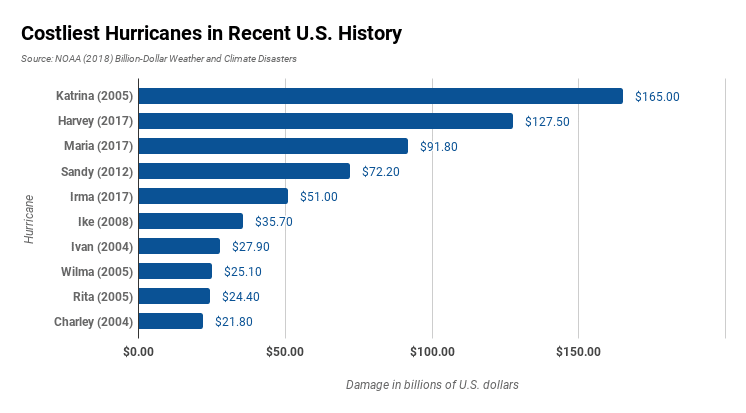 First, Hurricane María was not the costliest storm of 2017, though it was the deadliest. Second, as the effects of natural disasters have become more costly over time, the federal government’s financial response has not. For example, while Hurricane Katrina caused damages of $165 billion, the federal government spent around $115 billion in its response. Third, the disbursement of federal disaster assistance can be very slow, as the reconstruction of New Orleans after Katrina shows. The Robert T. Stafford Disaster Relief and Emergency Assistance Act establishes that the federal government is a partner to local and state governments when they address the effects of natural disasters or other emergencies. As part of this partnership, the law assumes that state and local governments will “contribute toward some of the costs incurred by the disaster response and recovery programs.” This is what is known as the cost-share and the Stafford Act’s formula specifies that the federal government at a minimum will be responsible for 75% of the costs. The governor (or tribal chief) can ask the FEMA Administrator to readjust this formula, but the president must approve the request. The readjustment takes into consideration the severity of the natural disaster and the state’s capacity to lead and to finance short-term emergency efforts and long-term recovery ones. This cost-sharing applies to FEMA’s public assistance grant program, which includes “emergency work” and “permanent work.” Two types of projects fall under “emergency work”: Category A – Debris Removal and Category – B Emergency Protective Measures. Most of these projects should be completed within the first six months of the incident, though the FEMA Administrator can expand the time-frame by another 6 months. The next set of graphs compares the cost-share ratios for Category A and Category B projects in Texas, Florida and Puerto Rico. FEMA also funds “permanent work” projects and these fall under the following categories: Category C – Roads and Bridges; Category D – Water Control Facilities; Category E – Public Building and Contents; Category F – Public Utilities; and Category G – Parks, Recreation Facilities and Other Facilities. The goal of these projects is “to restore a damaged facility, through repair or restoration, to its pre-disaster design, function, and capacity in accordance with applicable codes and standards.” If applicants want to make improvements and FEMA approves the plans, federal funding will only be used to cover restoration costs and the applicant will pay the difference. The next stacked bar graph looks at the cost-sharing formula for “permanent work” projects in Texas, Florida, and Puerto Rico. These three graphs make it clear that Puerto Rico has benefited from FEMA’s decision to adjust the cost-sharing formula in different project categories. While it is true that Hurricane Maria devastated Puerto Rico’s infrastructure, Hurricane Harvey’s damages were costlier. 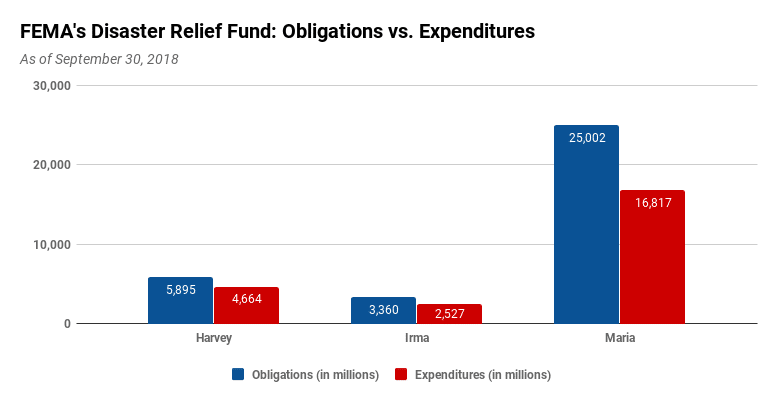 Let us look at FEMA’s Disaster Relief Fund’s obligations and expenditures connected to Hurricanes Harvey, Irma and Maria. The U.S. General Accounting Office defines an obligation as “a definite commitment that creates a legal liability for the government for the payment of goods and services ordered or received.” An expenditure, on the other hand, “is an amount paid by federal agencies by cash or cash equivalent, during the fiscal year to liquidate government obligations.” In addition, these funds are not only applicable to Texas, Florida or Puerto Rico. They apply to states or jurisdictions affected by these hurricanes. Thus, disaster relief funds for the US Virgin Islands can be either cataloged under Hurricanes Irma or María. Even though Puerto Rico has received a higher number of funds, it is important to note that the disbursement has been slower. In Texas and Florida, over 75% of the obligated funds have already been spent, while in Puerto Rico the figure is 67%. While this discrepancy may explain Governor Rosselló’s frustration with the recovery process, the graph shows that the federal government has not forgotten about Puerto Rico. In other words, the expended relief funds represent around 16% of Puerto Rico’s gross domestic product (GDP), while they only account for approximately 0.28% of Texas’s GDP and 0.26% of Florida’s. What can we learn from this analysis? There are at least three important lessons. First, Puerto Rico has not been forgotten by the federal government. There is little doubt that FEMA’s response to Puerto Rico was initially slow and the FEMA Administrator has openly admitted to this reality. But the Trump administration has not only provided more funding to Puerto Rico’s recovery than any other state. It has also agreed to pay for a higher share of these efforts. Second, Puerto Rico’s authorities lacked the capacity to deal with Hurricane María’s effects, forcing FEMA and other federal agencies to assume control over the islands’ recovery. This was not always the case. The Government of Puerto Rico’s performance following Hurricane Georges in 1998 serves as a reminder that the current administration needs to develop the institutional capacity to address the effects of future natural disasters. Finally, even though it is clear from all President Trump’s tweets and statements that he has little empathy for Hurricane María’s victims, his attitudes toward Puerto Rico are not shared by the thousands of federal workers and soldiers who have worked hard to help Puerto Ricans affected by the storm. While the federal government has made mistakes in its reaction to the island’s challenges post-María, this analysis shows that the Trump administration has not ignored or abandoned Puerto Rico. The data also demonstrates that the federal government did not favor Texas or Florida over Puerto Rico. Carlos L. Yordán is an associate professor of political science and international relations and the director of the Semester on the United Nations at Drew University in Madison, NJ He is currently researching US-Puerto Rico relations in the aftermath of Hurricane Maria.